Russian stocks are likely to continue their upward trend amid positive global background and high oil prices. 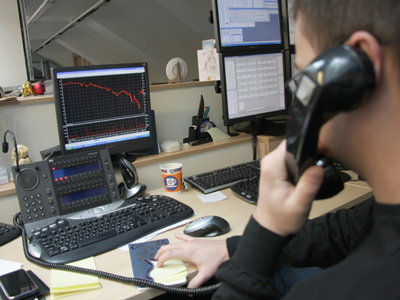 Russian trades closed in the black Tuesday after a choppy session, with the metals sector showing the best performance. The MICEX added 0.6%, with the RTS climbing 0.8%. European stocks ended slightly higher Tuesday, despite a clutch of negative data from some of the European countries. UK said its manufacturing output dropped 2.9% in June, while Italy reported a 0.7% decline in economic growth for the three months. Major UK bank Standard Chartered saw its shares dropped 16% on allegations of money laundering. The Stoxx Europe 600 rose 0.7%. The French CAC 40 closed 1.5% and the German DAX 30 was up 0.7%. US stocks rose Tuesday on growing optimism that the European Central Bank would act soon to curb the eurozone’s debt crisis. The Labor Department’s report that job openings in June rose to a four-year high also contributed to the positive sentiment. 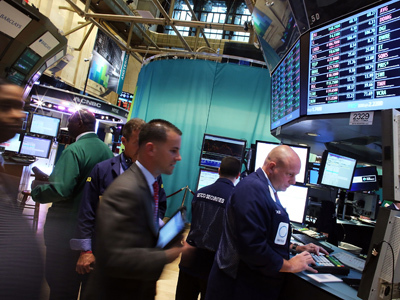 The Dow Jones climbed 0.4%, while the S&P 500 added 0.5% and the Nasdaq Composite advanced 0.9%. Asian stocks rose Wednesday, with the resource sector and global exporters among the best performers. Japan’s Nikkei climbed 1.4%, South Korea’s Kospi rose 1.3%, and the Australian S&P/ASX 200 advanced 0.5%. In China, Hong Kong’s Hang Seng and the Shanghai Composite both declined 0.1% ahead of key economic data due Thursday.